It was a unique day in cricket for Pakistan - both Pakistani male and female cricket teams playing their Indian counterparts - and the girls dominated the men. 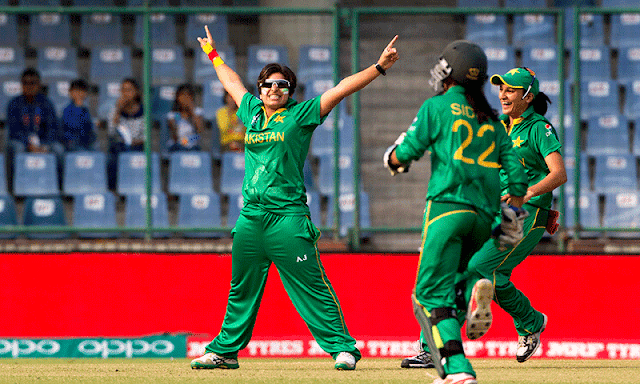 Yes, in an earlier match of the ICC Women's World T20 group match played at the Feroz Shah Kotla in Delhi on Saturday, the Pakistani girls defeated India by two runs in a riveting contest which was decided on DL method. Pakistani female team was chasing an In dian total of 96 and were at 77/6 when a heavy downpour suspended the game and the match was finally decided on DL method - resulting into a two runs victory for Pakistan.